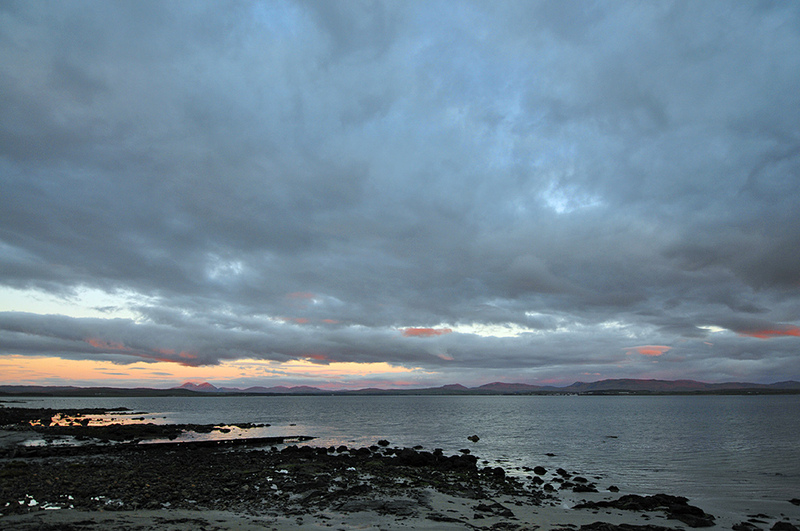 A view over Loch Indaal from Bruichladdich towards Bowmore on an October evening. The setting sun created some interesting colours in the clouds, in particular towards the horizon. Note the Paps of Jura towards the left. This entry was posted in Cloudy Weather, Landscape, New Post, Sea Loch, Sunset, Village and tagged Bowmore, Bruichladdich, Islay, Loch Indaal, Paps of Jura, Rhinns of Islay by Armin Grewe. Bookmark the permalink.